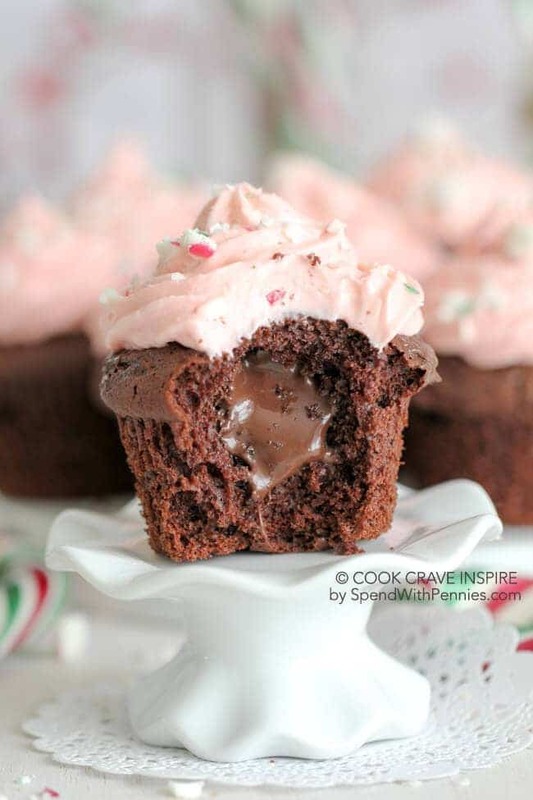 Soft chocolate cupcakes with a peppermint chocolate filling and a delicious peppermint cream cheese frosting. These will become your new holiday favorite. Preheat oven to 350 degrees. Open package and set the small chocolate filling packet aside. Place the filling into a small bowl and stir in 1/2 teaspoon of peppermint extract. Prepare cupcakes as directed on the box using. Visit Peppermint Cream Cheese Cucpakes @ spendwithpennies.com for full directions.